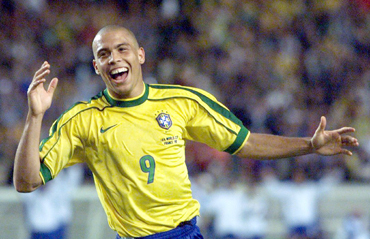 Former Brazil striker Ronaldo announced his retirement from soccer on Monday. 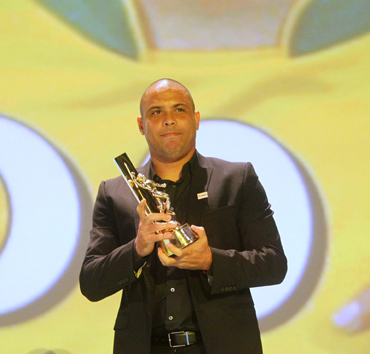 The 34-year-old three-times world player of the year has a contract with Corinthians until the end of 2011 but brought his retirement forward after the team's shock, early elimination from the Libertadores Cup and violent protests from fans. Ronaldo told the Estado de Sao Paulo newspaper's website (www.estadao.com.br) his regular injury problems were one of his main reasons for quitting now. "I can't take it any more," Ronaldo said. "I wanted to carry on, but I can't. I plan a move (in a game) but I cannot execute as I wish. The time is up. "But it was nice, dammit." Ronaldo, who made his announcement in a news conference at the Corinthians training ground, thus ended a brilliant career in which he scored more than 400 goals including a record 15 at World Cups. The striker, an unused squad member when Brazil won the World Cup in 1994 and their top scorer when they won their record fifth title in 2002, is expected to remain at the club in an administrative role. Ronaldo, who left Brazil's Cruzeiro for PSV Eindhoven at the age of 18 and played for both Milan clubs, Barcelona and Real Madrid, helped Corinthians win the Copa Brasil and Paulista (Sao Paulo) state championship last year. 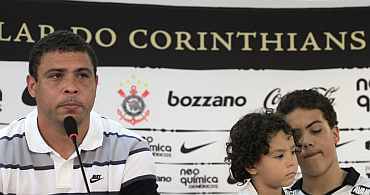 But Corinthians disappointed in the two big competitions of 2010, their centenary year, failing to get past the round of 16 of the Libertadores cup or win the Brazilian championship. Ronaldo missed many matches through injury and fans began to show their irritation. This came to a head after Corinthians lost 2-0 away to Deportes Tolima of Colombia 10 days ago in the second leg of their Libertadores Cup preliminary round tie having drawn 0-0 at home. They were eliminated from the competition.